How important is it for us to live in a strong community? When we hear or read the news there is seldom a mention of Laurencekirk – perhaps an item on the road reports or a lucky lottery winner? The town has seen significant changes in recent decades: the closing of the US naval base at Edzell; the resultant community pay out to build the primary school; the closure of the livestock mart; the development of the business park; housing developments to double the population of the town; regeneration of the rural population with families largely from the oil industry; re-opening of passenger rail services and a change from market town to commuter base. The prominent new academy campus with its illuminations is finding its feet but residents note a number of areas for improvement in the town: a swimming pool; visitor accommodation; an additional business park with added employment opportunities; more extramural activities for school age children; social opportunities across the generations; a family restaurant and a new town centre to cope with the additional 1000 homes and 3,000 residents likely to occupy them. Having survived the bank crashes and the first decade of government-led austerity, the prospect of the UK reconnecting with the world beyond Europe seems a big ask when we have no evidence of any fresh initiatives from the London management team. It may seem as if we are entering a really dangerous maze but as individuals, we should focus on the few areas where we have the opportunity to make a difference whether in our educational endeavours, career choices, business endeavours or in our collective responsibility for family, neighbours and social groups. Many of us will have travelled the world and appreciate that the grass is rarely as green as in the Howe o’ The Mearns. Let’s continue to create our successes locally and keep all the bad news in the background despite the media hype. Please note your first opportunity is to support the Christmas Lights Coffee Morning on Saturday 17th November, 10.00am-11.30am in the Masonic Hall. 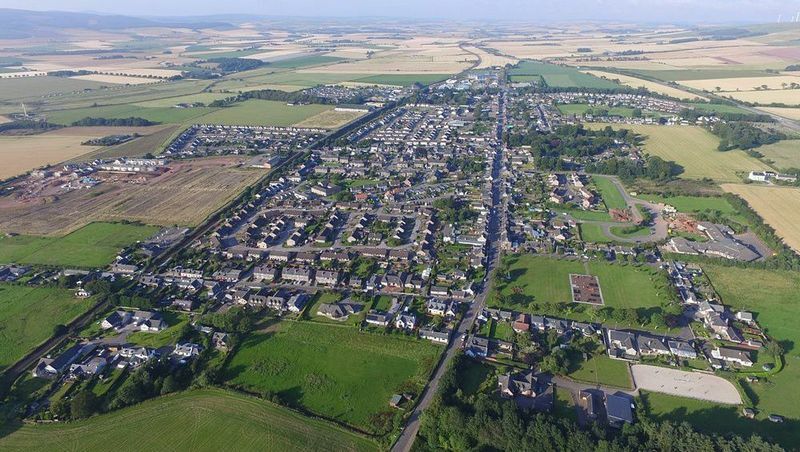 I have lived in Laurencekirk for two years and cannot speak highly enough of it – I always brag to people in Aberdeen that I live here! There have been a few independent shops opening in the past year, and the farmer’s market is great. We also have a film festival – I think we can definitely advertise and ‘big that up’! Had a petrol station but sadly people didn’t use it,people campaigned & raised money for a swimming pool but sadly the council or government officials thought we didn’t need one. Get a supermarket sounds great then you’ll put the rest of the village business out of business just so some people don’t get inconvenienced think it would ruin the village as it’s only a village.